What an absolutely bad blogger and blogger buddy I've been recently. Here is the biggest news in New York wine in the last few years, and I completely missed it. 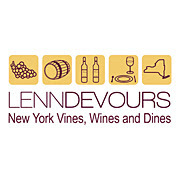 Lenn Thompson, better known as Lenndevours, has started a wine club. It's an exciting partnership he's entered into with Greene Grape Wine Company (in Manhattan and Brooklyn). If you've been trying to find some of the New York State wines that people have been talking about and you can't, now is your chance. Lenn is completely plugged in. 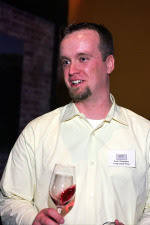 He gets all the best releases and works closely with many New York State wineries already with his blog. Now he's able to share with everyone the tasting notes on some of the best wines that New York has to offer. This is cult wine gone to the next level!!! And this has been going on and I missed it! There's a few in here I haven't been able to get my hands on like the Standing Stone Vidal Ice and the Roanoke Blend Two. Very cool. "Basically, when people sign up (either for monthly or quarterly shipments) they get the New York wines that I choose sent directly to their door. It's an idea whose time has definitely come and I'm excited that we've already had great response from wine lovers all over the country--from the East End of Long Island all the way out to California wine country and the Bay Area," Lenn told me recently. "My goal is to get New York wines, which I'm passionate about, into the hands of people who may not be able to get them otherwise," Lenn continued. "It's NY state only because that's my sweet spot. I know the wines extremely well and this is the first club of its kind." "And, because I'm not making any financial gain, our members can trust that my selections are based on nothing more than the wines I'm loving and excited about right now….I want to get [these wines] into more peoples' hands. Even in New York state itself, it can be hard to find New York wines at your local wine shop. I want to help change that." Response from the public has been good after only a soft launch to work out the kinks. But things are going great guns now. I asked Lenn what the response was from the wineries themselves. "So far wineries have been really enthusiastic. Several LI wineries have offered me exclusives that are usually reserved for their wine club. In fact, this month's shipment includes a red blend from Roanoke Vineyards that won't be released until late spring. " And what sates can or can you not ship to? "Greene Grape cannot ship wine to IN, KY, MD, NH, PA, TN and UT at this time. Every other state is fair game, however." The 2007 Hudson Valley Wine Awards were announced!!!! Hats off the Hudson Valley Wine & Grape Association!! This really is a great kist f wines, and I cannot urge everyone enough to go out and try these wines. They are excellent! The Awards will presented at the Awards Banquet on Saturday March 24, 2007. The Awards Banquet is open to the public and is being held at Stoutridge Vineyards in Marlboro, New York. The Main Course Restaurant will be pairing the winning wines with delectable dishes for your enjoyment. The Awards Banquet starts at 2pm and concludes at 4pm with the awards ceremony. Tickets cost $55 per person and include, admission, 2007 HVWGA wine glass, each of the winning wines from every category paired with food from the Main Course in New Paltz. Click here to order tickets. Stoutridge Vineyards will host this year's Awards Banquet. Brookview Station's "2006 Semi-Dry Apple Wine." Warwick Valley Winery & Distillery "American Fruits Cherry (Sour) Liquor." Brotherhood Winery "2005 Seyval Blanc"
Oak Summit Vineyard "2005 Pinot Noir"
SIGN UP FOR 2007 NEW JERSEY FESTIVALS NOW! SEPTEMBER 1 & 2 (Noon to 5:00 p.m) (Rain Date September 3)"Jazz it Up"
For More information call 609-588-0085 * Schedule subject to change. Maryland Will Fund Farmer's Attempts to Grow Grapes! WASHINGTON COUNTY - Washington County enthusiasts of a state agriculture corporation have visions of grapes. Executive Director Stephen McHenry said. In full bloom, MARBIDCO would help farms diversify, offering financing for high-yield but riskier operations, innovative changes and land purchases. Some say state venture capital could spur wine production in Washington County. Wineries are profitable and good tourism draws, said Suzanne Hayes of the Hagerstown-Washington County Chamber of Commerce's Government Affairs Committee and a member of a farm family. "Maryland is behind the national curve in the expansion of its wine industry," the Maryland Wine and Grape Advisory Committee wrote in a 2005 report. In 1979, Maryland and Virginia had the same number of wineries. But by the time the report was issued, Virginia had 94 wineries and Maryland had 15. The committee cited MARBIDCO as a way to catch up. Through a bill sponsored by Sen. Donald F. Munson, R-Washington, the state created MARBIDCO in 2004 - without funding - to boost the farming, forest and seafood industries and related rural businesses. The state agreed the next year, through another Munson bill, to provide money. As governor at the time, Republican Robert Ehrlich allocated MARBIDCO's first $1 million in the fiscal 2007 state budget. Last month, Gov. Martin O'Malley, a Democrat, announced that he was tripling that by putting $3 million for MARBIDCO in his proposed fiscal 2008 budget. Actually, O'Malley was required to put $3 million in the fiscal 2008 budget under the Agricultural Stewardship Act of 2006, which Ehrlich signed. MARBIDCO must get $3.5 million in fiscal 2009 and $4 million a year over the next 11 years, the act says. Regardless, the 2008 funding boost was welcome news to a Washington County coalition that considers MARBIDCO funding a high priority for an area where agriculture is prominent. Washington County was fourth in the state for the number of farms as of 2002, the most recent year for U.S. Department of Agriculture statistics posted online. Janet Shank Stiles, who owns Shenandoah Jerseys dairy farm south of Hagerstown, was named vice chair of MARBIDCO's board in 2005. The local coalition - Washington County, Hagerstown, the chamber of commerce, the Greater Hagerstown Committee and the Hagerstown-Washington County Industrial Foundation - is paying lobbyist Michael V. Johansen to keep on top of four issues this session, including MARBIDCO funding. than commodity crops," said Brien J. Poffenberger, the chamber's president. Because a winery needs three to five years before realizing a profit, a farmer might have a tough time getting bank financing, Poffenberger said. MARBIDCO can help with wine-making and other ventures, McHenry said. In one of its new programs, the corporation would finance half of the credit needed for riskier projects and would charge 2 percent interest. The maximum loan amount is $100,000. A second program aids rural businesses' attempts to improve energy efficiency. On a bank loan of up to $50,000, MARBIDCO will buy down the interest rate by 4 percent. "We write a check to the bank," McHenry said. He said the corporation has fielded many calls since the programs started Feb. 1, but has yet to make any financing agreements. Two other programs are coming soon. One is help for farmers or rural entrepreneurs with agricultural-related ideas that aren't fully developed. MARBIDCO would pick the best projects and hire a business consultant to help. Another is a working-capital loan fund for rural businesses. McHenry said the interest rate probably will be 4 percent. McHenry said a recently announced plan to create a Chesapeake Bay Green Fund in Maryland would help fund MARBIDCO's Young Farmer Land Acquisition Program, which has no money yet. The program would help people get their first farm in exchange for giving up development rights. Jeff Semler, an agriculture and natural resources agent for the Maryland Cooperative Extension in Washington County, said MARBIDCO could help a farmer get into "agritourism," such as adding a farm stand, or "agritainment," such as building a corn maze. MARBIDCO is another potential lifeline for farmers operating on a low margin, Munson said. "It's becoming very expensive to become (a farmer) and there's not a lot of financial reward," he said. Keeping farmland intact protects the quality of life and prevents development sprawl, saving the government from spending more money on utilities and other services, Hayes said. "The best way to preserve land is to make farming profitable," Semler said. "At the end of the day, if you ask any farmer, none of them want to be rich. They just want to make a living for their family." The Maryland Agricultural and Resource-Based Industry Development Corp. (MARBDICO) is accepting applications for its programs to help rural businesses. Go to http://www.marbidco.org/ or call 410-841-5772. 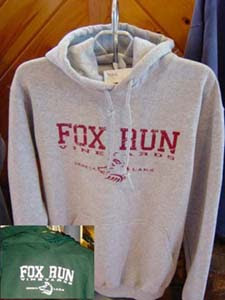 The two first Finger Lakes wines I ever tried were unt Country and Fox Run Vineyards. They used to have stands down at Union Square Farmer's Markets back in early 1990s. They've both come a lomg way since. Fox Run Vineyards recently won a Gold medal for its 2005 Riesling against some of the world’s finest at the Rieslings du Monde competition in Strasbourg , France near the Alsace region famous for elegant Riesling and Gewurztraminer. That's incredibly impressive....a huge congrats to all those at Fox Run. However, there is still cause for concern, acording to Jin Tresize of the New York Wine and Grape Foundation. "While New York ’s 2005 vintage was small, the quality was superb, as evidenced by this wine and others. Happily, the 2006 harvest of vinifera grapes like Riesling was 150% larger than 2005, with the Finger Lakes accounting for 65% of New York ’s total vinifera production. 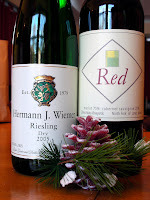 Fortunately, the 2006 Rieslings will be bottled during the next few months because Finger Lakes producers have been facing a frustrating problem: skyrocketing demand, tiny supply. That’s certainly a nicer problem than having a glut with no demand, but achieving balance is still the key. In the near future, Riesling producers will meet at the New York Wine & Culinary Center to discuss this issue, along with possible ways to “brand” Finger Lakes Riesling as successfully as New Zealand Sauvignon Blanc or Oregon Pinot Noir." So, I came home at dinner time to our weekend house in upstate New York, and Dominique had promised me a dinner worth my while. No, I don't know about you, but i grew up in an Italian household, and the normal dinner was antipasto and pasta, and a meat dish of some kind. But I can count on one hand the number of times we had pot roast in my lifetime in my parents' house. To a lot of my friends, the idea of pot roast is an elbow in the culinary ribs, awakening long dead memories of disfunctional family dinners, silently chewing leathery, over cooked beef. Not so at our house. When I got home, the house was filled with great smells of browned chopped potatoes, onions, and carrots all carmelizing in a great pan with a big piece of meat right in the middle. And she made homemade biscuits. With this, I decided to open up a bottle of 1997 Pelee Island Merlot Cabernet, a wine that is 50% cabernet sauvingnon and 50% merlot. Pelee Island Winery is Canada's warmest and southernmost appellation. Pelee Island is undoubtedly one of Canada's true gems of nature and a perfect destination for a day trip or weekend getaway. It's not far from Toronto or Windsor or Detroit or Cleveland for that matter. And they've won dozens and dozens of awards and medals. I'd had it a long time. It was an old bottle, with a lot of dust on it. I decided to quickly decant it and give it some rough swirls to accelerate it's opening. It smelled wonderful. It had cherries on the nose and as promised it delivered them and some nice spiciness as well on the tongue. A great mouthfeel. Dominique served the meal, and even the boys were excited (their idea of a good meal is hot dogs and macaroni and cheese, but they were genuinely excited. We said grace, and had a sip as the arommas from the food swirled around us. The wine was delicious. And the meat was so moist and tender, I didn't even use my knife to cut it. My label was old and is now out of date. It used to be called Cabernet Merlot, but is now called Merlot Cabernet. You need to look for the American Goldfinch label. The bright flash of black and gold is a familiar sight along roadsides and over fields on Pelee Island. The American Goldfinch makes its home here, enlivening summer days with its distinctive colour, undulating flight, and beautiful song of complex, rapidly repeated phrases. Whether you buy it in a store or airport shop, or you go by and visit them on Pelee Island (a truly great get away in summer) - Enjoy! So, we were cleaning out our mud room in our house, and I came across a wine bottle Dominique had attempted to throw away that I had saved, empty though it was, because I had wanted to write about it. "Bottles go in that bag over there," Dominique said without much emotion. But I was as happy as one of my little boys who'd found an old favorite Hot Wheels gathering dust under one of our numerous old radiators. "So this is where it is!" I said, as if I had just found the fountain of youth. Dominique and I had shared the bottle on New Year's Eve with some friends of ours while we all greedily dug into our creme brules. It was a bottle of Gray Ghost Adieu, 2003 Late Harvest Vidal. All four of us were impressed with dessert, but the dark golden liquid that came from the bottle drew raves as well. It had apricot and honey and a touch of caramel, and a touch of sour apple. It was a delicious nectar with just enough acidity. New Years Eve is but a distant memory at this point, as we round the bend on the end of February. Can it be the year is moving along so quickly? Can it be that my lust to embrace all my New Year's resolutions has already faded? I will not fit into my leather jacket from college? I will not read Stendahl's The Red and the Black as I promised myself? Have I watched less TV? And have I spent more time with my wife and children? Where does the time go? I don't know of I want to relive New Year's Eve, nor do I think I have time to read Stendhal, and maybe my diet has already been forgotten, but there's always time for great wine, and Gray Ghost's Adieu is great wine. Say Hello to Adieu. Make time for this fabulous Virginia wine. Here's a listing of regional winery events in Pennsylvania for the remainder of February and most of March. Wine, Music, a unique way to meet new people. Cost: $20.00. Call for reservations (215-493-6500, ext. 19) or buy online www.crossingvineyards.com. Live Music, Tours, Wine by the Glass. Presenting the amazing tastes of wine & chocolate! We are pairing our award winning FWC wine with chocolate delicacies for your enjoyment. Every Weekend in March, 12 - 6 pm. Don't miss this month long opportunity to see the first glimpse of the new '06 vintage. The six wineries of the Brandywine Valley Wine Trail open their cellars and invite you to see what's in our barrels. Passports to all six wineries available at Chaddsford Winery. Saturday, March 17, 2007, 7:30 PM: Winemaker’s Dinner. Featuring Tom Carroll, Jr., Vintner, Crossing Vineyards and Winery. Taste the Number One Chardonnay in the World, Winner Starwine International Wine Competition 2006. Meet the Winemaker who beat the French! At Annual “Unity Banquet”. . .
ROCHESTER , NY , February 8, 2007 – The New York Wine & Grape Foundation said a big “Thank You” to several individuals and businesses at its annual “Unity Banquet” on Thursday, February 8 at the Clarion Hotel. The Unity Banquet was the highlight of a three-day conference and trade show, Viticulture 2007 and the Wine Industry Workshop, which attracted about 1,000 people from many states and several countries. The Unity Banquet was created 20 years ago as a way to recognize, encourage, and celebrate cooperation among grape growers, wineries, grape juice producers and others to advance the entire industry. “Diversity is our strength, and unity is our power,” said Foundation President Jim Trezise. In addition to the “Unity Award”, several others have been added in different categories over the years. This year, a special “Lifetime Achievement Award” went to “Monty Stamp & Family” for their combined contributions to the industry over decades and generations. Longtime grape grower and industry leader Monty Stamp passed away on January 1, but his family at Lakewood Vineyards near Watkins Glen carries on his tradition of involvement and commitment to the industry at many levels. His wife Beverly Stamp is deeply involved with winery operations and groups like Women for New York State Wines. Son Chris, the winemaker, has been involved with several industry organizations over the years, as has his wife Liz who works in the tasting room. David, the vineyardist, is on the Board of the New York State Wine Grape Growers. Teresa (Stamp) Knapp works at the winery as well as the New York Wine & Grape Foundation, and is involved with Women for New York State Wines. Son Mike insures the winery, and his wife Kaye works in the tasting room. Even Monty and Beverly ’s grandchildren have been involved in the family business. The 2007 “Unity Award” was presented to Tom Davenport, Director of Viticulture for National Grape Cooperative Association and Chairman of the National Grape and Wine Initiative (NGWI). Tom has played a very active role in the industry for decades, serving for years as the volunteer director of the New York State Grape Production Research Fund, as a member of the Viticulture Consortium, and now as Chairman of NGWI, a national organization focused on research to benefit the grape and wine industry. In all these capacities, he has played a vital role in bringing people together and achieving a common purpose and vision. The “Industry Award”—presented to an individual who has made a major contribution in advancing the interests of the New York grape and wine industry—was presented to New York State Assemblyman Bill Magee, Chairman of the Agriculture Committee. When he became Chairman several years ago, there were no grapes or wineries in his district, yet he immediately took an interest in the industry and has been a major supporter ever since; now there are several wineries in his central New York district. He has been the leader in the Assembly on grape and wine issues including direct interstate shipment and other vital legislative initiatives. The “Grower Award”, which recognizes vineyardists who have made exceptional contributions to the New York grape and wine industry, was presented to the Tones Family of Clearview Farms near Branchport. The Tones family includes three generations of growers and three family farms, and has long been active in industry associations like the New York State Wine Grape Growers. The “Winery Award”— which recognizes wineries that have advanced the widespread recognition and quality reputation of New York wines—was presented to Paumanok Vineyards of Long Island’s North Fork . Paumanok is largely recognized as one of Long Island’s top quality wine producers, having won the “Winery of the Year” award at the 2004 New York Wine & Food Classic and many other awards and forms of recognition since then, including the highest ratings of any New York winery in a 2006 edition of Robert Parker Jr.’s The Wine Advocate. Charles and Ursula Massoud were also active in the effort to secure direct shipment legislation, and their son Kareem was selected to serve on Governor Spitzer’s agriculture transition team. The “Research Award” for major contributions in research and education to benefit the New York grape and wine industry was presented to Dr. Tim Martinson of Cornell Cooperative Extension. For several years, Tim served as the Finger Lakes Grape Specialist, providing communication and education for growers in that region; and recently was promoted to a statewide position coordinating all grape-related Extension activities. Tim organized the annual Finger Lakes Grape Growers Convention, and this year played a key role in developing the Viticulture 2007 agenda. The “Restaurant Award”—for excellence in promoting New York wines as part of a fine dining experience—was presented to Chuck Hunt, Executive Vice President of the New York State Restaurant Association. Chuck operates out of New York City , is extraordinarily well-connected in the restaurant industry, and has played a major role in encouraging New York City restaurants to feature New York wines and participate in the Foundation’s “New York Wines & Dines” program. The “Retailer Award” recognizes wine stores which do an exceptional job in educating consumers about the quality and variety of New York wines. The 2007 award was presented to Altamont Wines & Liquor in the Albany area, where owner Bill Turner features a broad selection of New York wines. A “Distributor Award” recognizing extraordinary support of New York wines was presented to Bill Crandall, who recently retired from Eber Brothers after decades of service. Bill served on the Foundation Board in recent years, and brought unique experience, enthusiasm and ideas to the table including a “wholesaler intiative” that will be carried out later this year. The “Consumer Award” recognizes individuals who enthusiastically support New York wines and enjoy wine in moderation as part of a healthy and happy lifestyle. The 2007 award was presented to Women for New York State Wines, a group of volunteers who conduct wine tastings and educational programs throughout the state. Formed in 1981 as the promotional arm of the New York State Wine Grape Growers, WNYSW has provided valuable support to the industry for over 25 years. Current WNYSW President Donna Gridley and many volunteers—there to pour, as always—received the award. ROVING DINER - Pedigree means a lot when it comes to the fine wines. The route is often paved with awards for quality wine making. At this year's Pennsylvania Farm Show, the Pinnacle Ridge Winery of Berks County outscored all others in the annual wine competition by capturing 10 medals including four Gold Medals. Pinnacle Ridge located outside of Kutztown in Berks County won four gold, five silver and one bronze medal for its maximum 10 entries. The awards include Best in Show for its 2005 Blanc de Blanc (Best Sparkling) and 2005 Chambourcin Reserve (Best Hybrid). The Knapp family which owns the vineyard earned additional medals for its 2005 Brut Reserve, 2005 Vidal Blanc Ice Wine, 2005 Pinot Noir, 2005 Cayuga White, and 2005 Concord, 2005 Pinot Noir and 2005 Chardonnay. Vyncrest Winery, founded in 1989 in Lehigh County, marched off with eight awards including two golds and Best Vinifera for eight wines entered. Both wineries are a part of the Lehigh Valley Wine Trail linking nine vineyards. The only Bucks County vineyard to earn awards at this year's farm show was Crossing Vineyards established in 2000 in Washington Crossing. It won four bronze medals for its 2003 Cabernet Franc, 2004 Cabernet/Merlot, 2005 Chardonnay and 2005 Viognier. Crossing Vineyards is part of the Bucks County Wine Trail linking eight vineyards, the most wineries of any single county in Pennsylvania. The vineyards offer wine tastings to visitors at their stores. Pennsylvania is home to more than 70 wineries and is fifth nationally in production of wine grapes. As state's wine industry blossoms, so does demand for homegrown supply. In April 2003, Kevin Bubbenmoyer, a professional photographer and wine connoisseur, planted 1,700 chardonnay and cabernet sauvignon vines on a 3-acre plot surrounding his childhood home in Orefield. Months later, Antler Ridge Winery owner Steve Unis noticed the fledgling vineyard from the road and jumped to introduce himself. Although it would be years before Bubbenmoyer's vines would yield their first crop, Unis soon laid down an offer: He'd take everything Bubbenmoyer could grow. The swift business deal underscores the predicament facing Pennsylvania winemakers: As the number and size of wineries grow — the state ranks eighth in production — so does the need for grapes. While wineries in other states can turn to places such as California to restock their supplies, state law requires Pennsylvania wineries to use at least 75 percent local grapes. The remainder may come from vineyards from outside the state, but only within a 350-mile radius. The restrictions make the difficult task of securing a crop of good-quality grapes even trickier, said Percy Dougherty, an American Wine Society national judge from Lower Macungie. Pennsylvania wineries aren't looking at changing the law. But with their industry generating $661 million a year, they're on a mission to persuade more people to grow grapes. To that end, the Penn State Cooperative Extension Office has been crisscrossing the state, holding seminars to draw wine hobbyists into the grape-growing business. One such session in South Whitehall drew 100 people last month. The group's demographics reflected the trend among the wine industry's new recruits: middle-age, upper- to middle-class couples. The Pennsylvania wine industry, like the rest of the United States, has experienced rapid growth in the last decade. In the late 1990s, the state had 42 wineries. That number has more than doubled to 110, including nine in the Lehigh Valley. There also are 30 independent vineyards that just supply grapes. Most state wineries fall into the ''boutique'' category. They're family-owned and run, bottling only enough wine to sell off their own shelves. Pennsylvania's entire annual production of 800,000 gallons could fit in just one of E. & J. Gallo's many California tanks, Chien said. And that's OK, said Lee Miller, owner of Chaddsford Winery, which produces 85,000 gallons a year in Chester County. Yet despite the relatively small demand, Miller remains unsatisfied with the state's limited supply of grapes. The 25-year-old winery is one of the most successful in the state, with five retail locations — the maximum permitted by the state Liquor Control Board. Often, the grapes offered are plucked from vines planted decades ago, making it difficult to keep up with the trends. Even growers cognizant of the whims of the masses can't fight nature: New vines need three years to mature. Jack Fulton of Williams Township is one such grower. The Vigne del Monte owner supplies 150 winemakers each year from his township vineyard, including those out of state, and each year he has requests he just can't fill. Fulton joined Chien at the recent seminar to help pitch his trade to the next generation. Miller is hoping something will be done. And soon. However convenient, allowing wineries to buy grapes from California is not the answer, said Dougherty, who is a Lehigh County commissioner. Wine grapes absorb the flavors of the soil in which they're planted. Hence a California cabernet tastes fruity, while grapes from the same type of vine planted on the East Coast will yield an earthier blend. The concept is called terroir in French, and ''that's what real aficionados want in a wine,'' Dougherty said. Using grapes from outside the state would ruin the good reputation the Lehigh Valley is building. Dougherty said Valley wineries nabbed 11 of the 15 top honors in a recent state competition, thanks to having some of the best soil around. When it comes to romantic chemistry, couples either have it or they don't. Bogie and Bacall had it. Mickey and Minnie still have it. One romantic duo that definitely has it — wine and chocolate — will be the star pairing Saturday and Sunday during the Garden State Wine Growers Wine and Chocolate Wine Trail Weekend. The nonprofit organization is made up of more than two dozen New Jersey vineyards and works to spread the word about the state's wines. According to the association, Garden State vintners bottled more than 1 million gallons of wine last year, in more than 40 different varieties, making New Jersey the fifth largest wine-producing state in the nation. To give the public an opportunity to explore the area's wineries, the growers sponsor weekend events throughout the year. Three or four times a year, it offers a special event, such as the Wine and Chocolate Weekend. Each winery will offer something different, but most will host wine tastings, new releases, tours, and of course, what's the most romantic time of the year without a little chocolate? All participating wineries will be open for guests from noon to 5 p.m. Saturday and Sunday. Most activities are free, but there are a few exceptions. Check the association's Web site, http://www.newjerseywines.com/, or contact the individual locations for more information. In all, 18 New Jersey wineries will take part, including Valenzano Winery in Shamong. Owned and operated by Tony Valenzano and his sons Anthony and Mark, Valenzano Winery will offer tastings of approximately 13 of its wines at no charge, including its reserve wine Cynthiana, and it latest release, Shamong White. For the nibblers in your group, cheese and crackers as well as treats and goodies to drench in the chocolate fountain will be available to pair with the winery's raspberry, blueberry and strawberry dessert wines. The Riverbank Duo, Dan Robbins and Judith Walter, a violinist and pianist, will provide romantic music from noon to 3 p.m. both days. In neighboring Atlantic County, DiMatteo Vineyards in Hammonton also is opening its doors to the public this weekend, according to Frank DiMatteo, part-owner of the small, family-operated winery. Weekend offerings at the vineyard will include all of its products, he said. Guests can sample “the whole line that we produce,” he said. “There's nothing crafted special for the weekend, but it's about 12 wines. Another winery which has planted its roots in the sandy Hammonton soil is Tomasello Winery. “My brother and I are partners in the winery, which has been in business since 1933. It's the oldest winery owned by the same family and the only third-generation winery in the state,” said winery vice president Jack Tomasello. Built shortly after the end of Prohibition by Tomasello's grandfather, Jack's father and uncle took over the winery after the death of his grandfather, eventually handing the reins over to the brothers. Tomasello wines are sold in 26 states and exported to Japan, South Korea, parts of Singapore and Taiwan, he said. Wine-making is the fastest growing agricultural industry in the state, according to Tomasello. The winery has been participating in wine trail weekends for some time now, he said. Sweet Shoppe truffles will be served this weekend, along with samples of Tomasello's fruit wines, and the winery will offer a four-course “Wine Lovers” dinner Saturday, according to Tomasello. “We're doing a Valentine's Day weekend party and dance with gourmet food, wine and live music,” he said. The dinner, in the winery's banquet facility, will feature a choice of filet mignon or poached salmon and a chocolate torte with red raspberry wine for dessert, and costs $65 per person including tax and gratuity. Reservations are required. Vineyard visitors, residents as well as newcomers, should gain a new perspective on wine. The weekend is a great opportunity for couples to spend a little quality pre-Valentine's Day time together and learn more about New Jersey wines. Amalthea Cellars, 209 Vineyard Road in the Atco section of Waterford; (609) 768-8585 or http://www.amaltheacellars-.com/. The winery will host three chefs, in addition to its own staff, includng Robert Bennett, formerly of Le Bec-Fin and Miel Patisserie, who will discuss how to pair wine with food. Samples of Belgian chocolate, handmade pastries, gourmet cheeses and hor d'oeuvres will be offered to vineyard guests. Westfall Winery, 141 Clove Road, Montague, (973) 293-3428 or http://www.westfallwinery.com/. Four Sisters Winery, 783 County Route 519, Belvidere; (908) 475-3671 or http://www.foursisterswinery.com/. Alba Vineyard, 269 Route 627 in the Village of Finesville, Milford; (908) 995-7800 or http://www.albavineyard.com/. Amwell Valley Vineyard, 80 Old York Road in Ringoes; (908) 788-5852 or http://www.am-wellvalleyvineyard.com/. Unionville Vineyards, 9 Rocktown Road, Ringoes; (908) 788-0400 or http://www.union-villevineyards.com/. 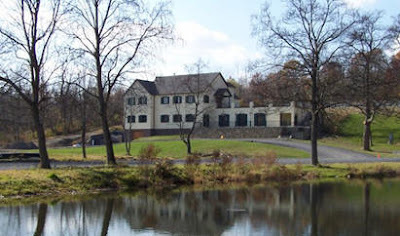 Silver Decoy Winery, 610 Windsor-Perrineville Road, Hightstown; 609-371-6000 or http://www.silverdecoywinery.com/. Hopewell Valley Vineyards, 46 Yard Road, Pennington; (609) 737-4465 or http://www.hopewellvalleyvineyards.com/. Four JGs Winery, 127 Hillsdale Road, Colts Neck; 732-817-9463 or http://www.4jgswinery.com/. Cream Ridge Winery, 145 Route 539, Cream Ridge; (609) 259-9797, http://www.creamridgewinery.com/. Heritage Vineyards, 480 Mullica Hill Road/Route 322, Richwood; (856) 589-4474 or http://www.heritagestationwine.com/. Tomasello Winery, 225 White Horse Pike, Hammonton; (800) 666-9463 or http://www.tomasellowinery.com/. DiMatteo Winery, 779 11th Street, Hammonton; 609-567-3909 or http://www.dimatteovineyard.com/. Sylvin Farms Winery, 24 N. Vienna Ave., Galloway; (609) 965-1548. Bellview Winery, 150 Atlantic St., Landisville; (856) 697-7172 or http://www.bellviewwinery.com/. Renault Winery, 72 N. Breman Ave., Egg Harbor City; (609) 965-2111 or http://www.renaultwinery.com/. Cape May Winery, 709 Townbank Road, Cape May; (609) 884-1169 or http://www.capemaywinery.com/. To view a Soundslide of the bottling process at Valenzano Winery, click here. Published February 1, 2007 in issue 0605 of the HooK. Like giant feet stomping on grapes, the wine wholesaler lobby soundly crushed last year's efforts by Virginia wineries to continue delivery of their own wine, and a bill that would have permitted small wineries to deliver didn't make it out of subcommittee in the General Assembly. This year, the wineries returned, armed with sparkling new bills that would allow them to deliver their wine to restaurants and stores and skirt the "three-tier system" that positions a wholesaler between winery and retailer. But once again those bills seemed slated for defeat until a compromise emerged last week. Bills carried by Senator Emmett Hanger, who represents a sliver of Albemarle, and Delegate Chris Saxman, whose 20th District includes part of Augusta, were seriously rewritten to appeases distributors and allow farm wineries the option to distribute wine through a new state-owned, nonprofit distributor. Saxman and Hanger proposed a nonresident license for distribution of up to 3,000 cases a year, but that's where the powerful Virginia Wine Wholesalers Association balked. The whole debate began after the Supreme Court declared Virginia's system of allowing only in-state wineries to self-distribute unconstitutional. The compromise takes advantage of another court ruling that allows Virginia ABC stores, because they're commercial entities, to discriminate against non-native wines and stock only Virginia wines. The bills now propose that the Virginia Department of Agriculture and Consumer Services set up a nonprofit, state-owned wholesaling company that would allow farm wineries to distribute up to 3,000 cases a year while preventing out-of-state wineries from skipping the wholesalers. The "virtual wholesaler" bills go to committees January 31, after the Hook goes to press. While even the Wine Wholesalers' Hot Line foresees no obstacle to passage, some small wineries are resigned to the fact there's no going back to the good ole days. "What we wanted to do was say wineries can flat-out self distribute," says vintner Sarah Gorman. "That's not going to happen." Gorman, one of the owners of Cardinal Point Winery in Afton, realizes that the days of tossing a few cases in the back of a pickup truck to refill a restaurant in downtown Charlottesville are over. She thinks the fear that a North Carolina or other winery would actually self-distribute this way has been vastly overblown. "I don't think Ernest and Julio are going to set up in Virginia," she says. While Gorman acknowledges that Ag Department wholesaling might improve the situation, since not all wholesalers will deal with the small quantities most area vineyards produce, she doubts the bill is a panacea. "I'm not really sure about the nuts and bolts of how this works," she says. The wholesalers' lobbyist Charles Duvall did not immediately return the Hook's phone call, but Delegate Saxman says he's pleased that Virginia farm wineries now have a guarantee they can get their product to market. "Progress is progress," says Saxman, "and you never want to sniff at progress when you could be sniffing Virginia wines." SALISBURY -- People tend to envision vineyards as romantic places with rolling hills and grapes galore, rather than the flat, wet topography of the Lower Shore. However, vineyard planting is a growing trend here, said Laura Hunsberger, educator for the Worcester County Office of the Maryland Cooperative Extension, a statewide non-formal educational system within the college of Agriculture and Natural Resources and the University of Maryland Eastern Shore. tion to about 10 acres and open a winery soon. "It's a challenge to see if you can make wine that's good." To satisfy an increasing demand for education on starting up wineries, the Worcester County extension office is hosting a workshop for new grape growers on Feb. 15. The registration deadline is Saturday. The workshop will cover everything from site preparation, equipment, supplies, grape choices, pest control and management, cultural practices for harvesting and economics, Hunsberger said. The initial investment is about $10,000 per acre, she said. "This is geared at new grape growers with no agricultural background at all," Hunsberger said. "Some people think its very romantic and something they can do on a small acreage. People often under estimate how much hard work it takes." Shelton, who intends to produce 27,000 bottles annually, said that while the work is tedious and time consuming, it is definitely rewarding. "My advice is don't get into it unless you got enough time to do it properly," Shelton said. "I was not sure you could grow grapes in this area that would make excellent wine. But now I believe." Of the 27 licensed wineries in the state, three are operating on the Eastern Shore and several more are in the development phase, said Kevin Atticks, executive director of the Maryland Wineries Association. The Eastern Shore vineyards are located in Easton, St. Michaels and Suldersville. Boordy Vineyards, which started planting in Baltimore County in 1945, is the oldest winery in the state. "We're trying to find another crop for tobacco growers to grow," Hunsberger said. "Southern Maryland and the Eastern Shore have kind of been neglected in the grape world, but there's a lot of interest." Vineyards grow on every type of topography, Atticks said. It's a matter of figuring out which grapes grow best, he said. A range of grape varieties have already proven successful on the Lower Shore, he said. Of those, Chardonnay, Chambourcin, Vidal and Cabernet Franc all grow well on the Lower Shore and throughout Maryland, he said. He said the state needs more grape growers because of a high demand for local wines. "I think what's happened is everywhere wine as a product has become much more popular," he said. "What we've found is that when that's the case, there's always a movement to buy local. That's where our wineries capitalize. It's a very different product than wine from California. That's why people, if it's good, will buy cases of it." Dom and I had a bottle of Shelton Vineyards Madison Lee Red Wine. Again, I'd recently bought it on my most recent trip to Ashville, North Carolina. Founded in 1999, Shelton Vineyards is the largest family-owned estate winery in North Carolina. Located in the Yadkin Valley near Dobson and Mt. Airy, NC, Shelton Vineyards offers tours and tastings every day of the week. Their proprietary Madison Lee Red Wine is named for the Shelton’s two grandfathers whose middle names were Madison and Lee. An uncomplicated red wine that is made to go with pizza, burgers, ribs, wings, or Bar B Q. Madison Lee Red is medium-bodied and very approachable. As promised the berry fruit comes through, as well as a hint of vanilla. A very nice wine. We had it with meatloaf and mashed potatos, and a green salad with vinigrette. The boys enjoyed milk, again. It was a very nice drinking wine and very reasonably priced. I nice everyday wine to be shared with friends and family. 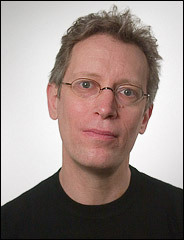 Big fan of Eric Asimov's. See below for the link to the full story. MAYBE it was the 2004 Peninsula Cellars riesling that I tried last fall out in San Francisco. It was dry and delicious with a minerally flavor that I don’t find so often in American rieslings. What surprised me most of all, though, was the wine’s provenance: Old Mission Peninsula, north of Traverse City, Mich.
Or it might have been the 1998 Ultra Brut blanc de blancs I had from Westport Rivers in Westport, Mass. Who knew there was such a thing as the Southeastern New England appellation, or that it would include such an elegant Champagne-like sparkling wine as the Westport Rivers? It might even have been the 2005 Chaddsford pinot noir, a light-bodied wine with earthy cherry and spice flavors that was distinctly not a California pinot noir, though I would have been hard-pressed to guess it was from Pennsylvania. Regardless of the particular wine, these three bottles and more like them have convinced me that credible wines at the least, and often enough really good wines, are emerging from the most unexpected corners of North America, and now is a good time to start paying attention to them.